Embark on an innovative and mind-bending time-traveling tale with writer-director Rian Johnson's Looper. Time-travel as a plot for science fiction films has became a hallmark for innovative indie or foreign films after its brief run for quirky and mostly comedic cinematic takes in the 80s and 90s with the likes of the iconic Back to the Future series as well as the Bill and Ted film series. With acclaimed and thought-provoking films from Spanish filmmaker Nacho Vigalondo's 2007 film, Los Cronocrímenes, and Shane Carruth's 2004 film, Primer, time-travel has yet proven its worthiness among the very best of sci-fi films. 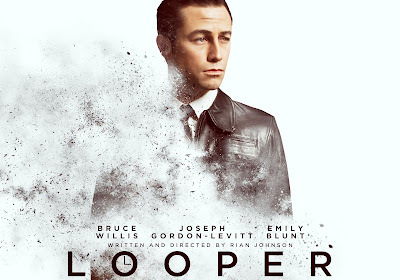 In Looper, writer-director Rian Johnson team up with his former collaborator from Brick the acclaimed neo-noir film that won the Special Jury Prize for Originality of Vision at the 2005 Sundance Film Festival), Joseph Gordon-Levitt, as well action film veteran Bruce Willis to deliver a mind-bending time-traveling tale. Gordon-Levitt is a professional killer well-versed in the peculiar work of taking the lives of people who were sent from thirty years in the future by the mob to manipulate the future. This is until his latest target: Himself, thirty years into the future and smartly cast to be played by Willis. 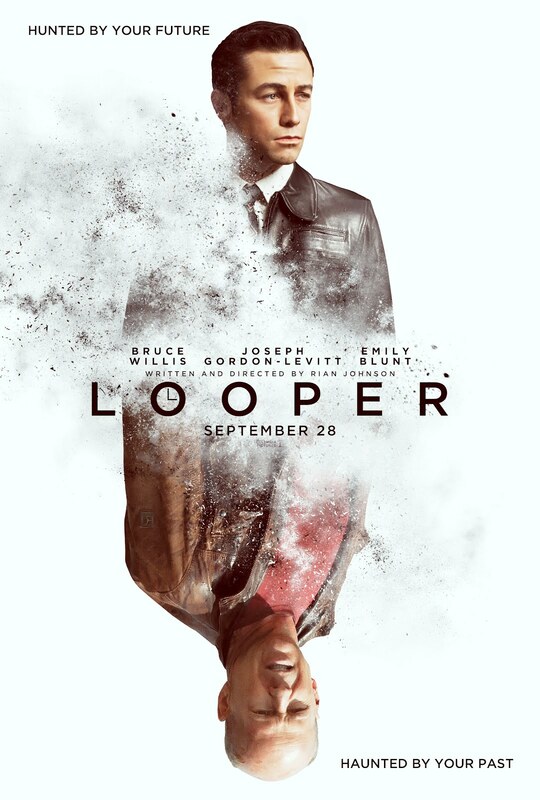 With an innovative storyline and intriguing cast, Looper would be the next sci-fi fil to watch out for. For now, hit the jump to check out the awesome trailer (head over to Apple to watch in HD). Here's the delirious first poster for the film. Looper is currently scheduled to be released on September 28th, 2012.